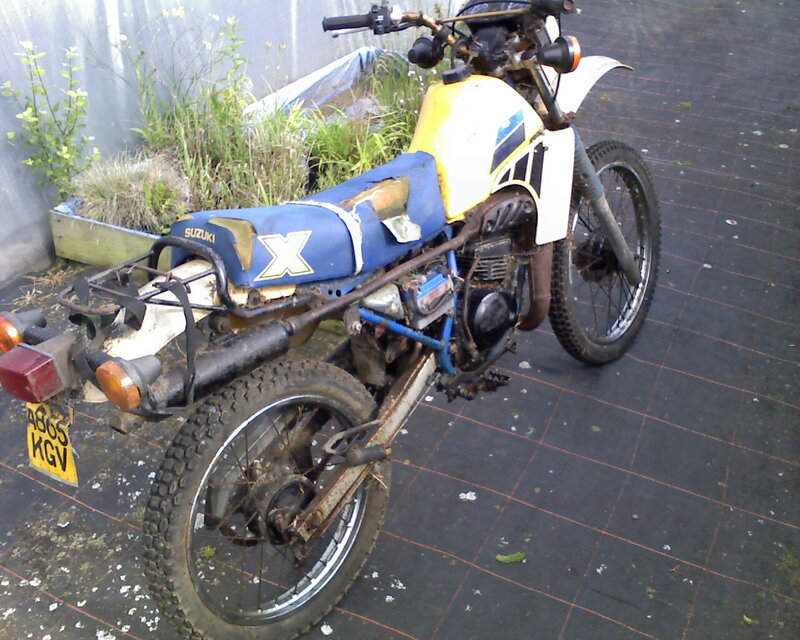 This 1984 Suzuki TS50XKE (Single cylinder, 2 Stroke) had found itself under a Hawthorn hedge for nearly 16 years! We thought of bringing her back to the more sort after White/Blue paint scheme as it seems a rarity now'a days... - yet trying to keep as many features concourse as possible. 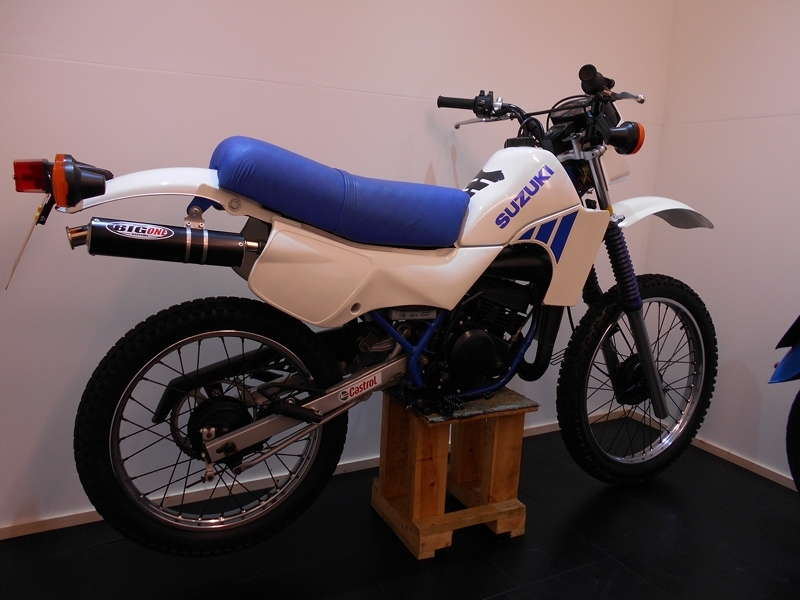 Suzuki has hit the nail on the head once again with yet another high quality engine making this bike tick over like a sewing machine with its recent top end rebuild. Once again, sustaining a full down to frame rebuild. Although starting from terrible condition, we managed to salvage a lot of the parts that are seen on the bike today - making a great canvas for such a retro looking bike! After about 6 weeks of hard graft we were presented with what we have today. A Stunning looking machine that takes pride of place at the foot of our showroom. £1895 – Viewing always advised / Part Exchange Considered.